We've raised $54.0 million of our $80 million goal! 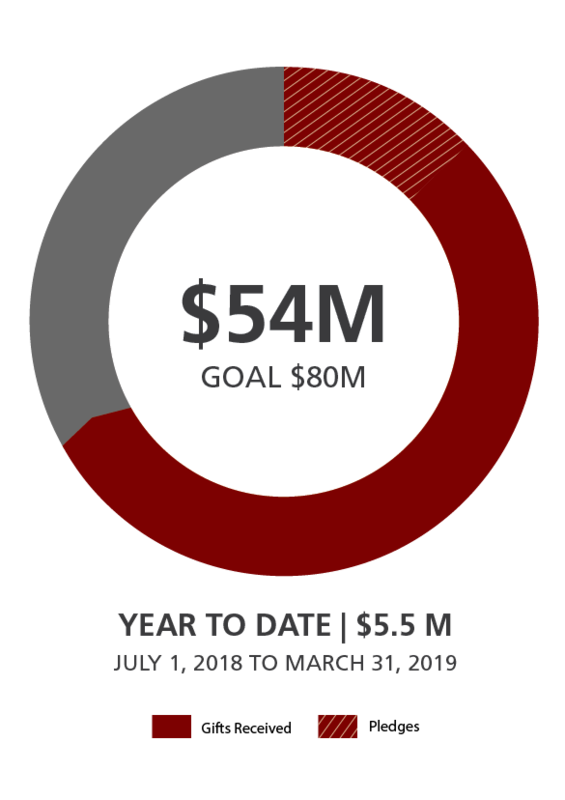 In this fiscal year (July 1, 2018 - March 31, 2019), we have raised $5.5 million. 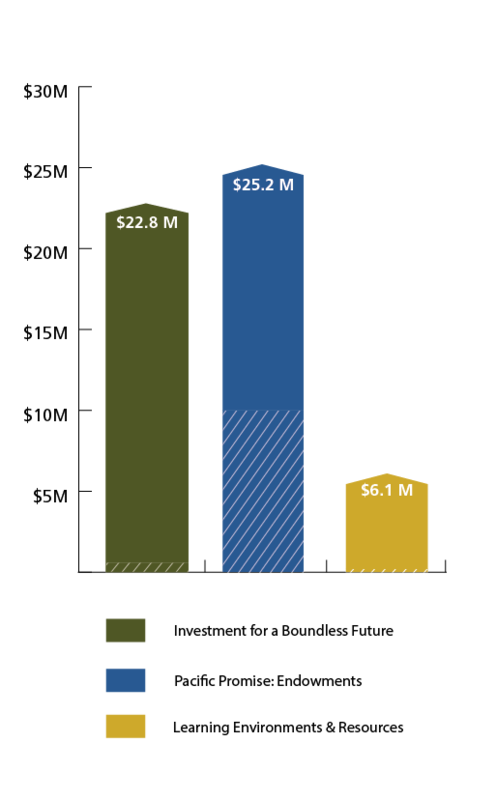 These funds were raised for our different campaign priorities: $22.8 million for our Investment for a Boundless Future, $25.2 million for the Pacific Promise: Endowment and $6.1 million for Learning Environments and Resources.